Puja and Ajit’s wedding is one of the most elegant affairs I've had the pleasure of sharing with you ladies! 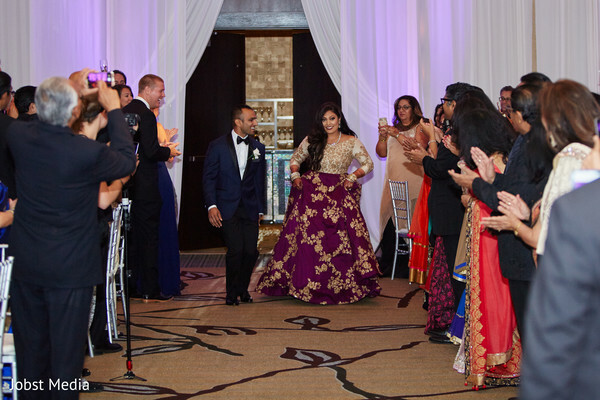 Utsav Planners, Inc. was the planning team behind these lavish celebrations and their finale was held in the marvelous halls of The Westin Book Cadillac Detroit! The travel-themed wedding reception included charming details of the couple’s love for traveling; I especially love the world map theme wedding cake that Wisteria Bakehaus created for the occasion! Against a beautiful chandelier backdrop that lit up the wedding stage, set in a romantic bed of white blooms designed by Yanni Design Studio, the sweethearts enjoyed their wedding night and that once again Jobst Media captured on camera! The photo team also preserved the best dance moments, as all guests found their groove at the customized dance floor thanks to Dhoom Events Indian Wedding DJ. 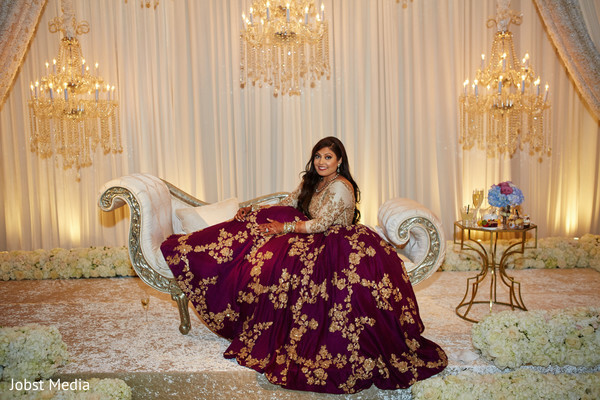 Puja’s reception lehenga outfit had extraordinary embroidered work that made her final dress selection match with the grandeur of the event! 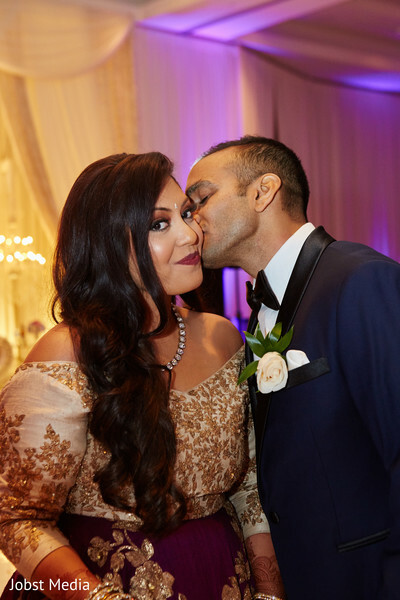 Go to our full gallery for more big moments of this splendid Indian union! I met him at a mutual friends wedding in Richmond Virginia in 2013. I had just moved to Chicago and was told that I need to get to know him because he was a lot of fun and also lived in Chicago. I knew he was the one about 6 months into dating. Ajit took me to Kohler Spa in Wisconsin for a impromptu weekend getaway over labor day weekend. I happened to have a few days off from residency and he planned the whole trip! On the first night there we got massages, went out to a nice dinner and then grabbed drinks at the spa. As the night was winding down, we decided to head back to our hotel room and he made me my favorite drink from Brazil-a caipirinha. Having a wedding in Michigan meant that lot of the same venues and vendors were usually used so we really tried to do things different by trying to incorporate out of state vendors. 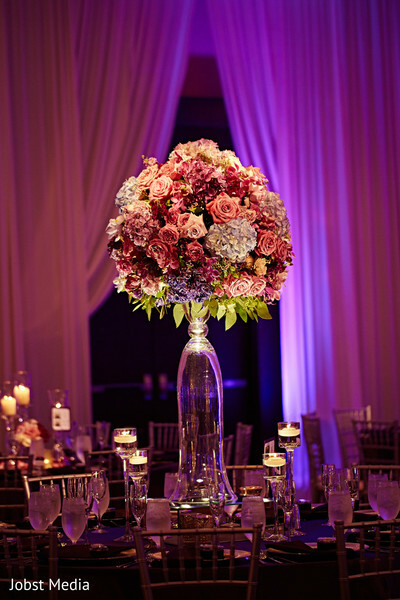 We loved the Westin for our wedding venue and loved working with the staff there. Emily did an amazing job and really catered to everything that we needed. 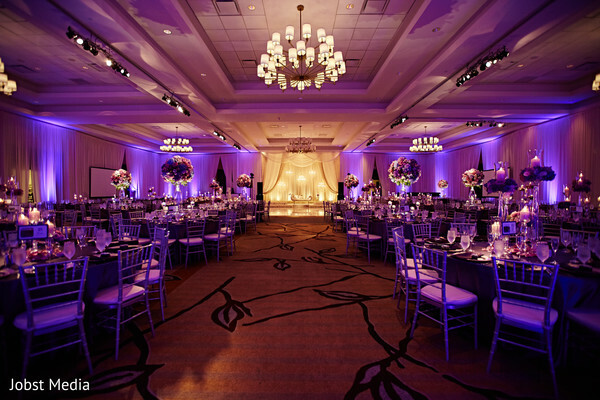 We also wanted a different venue for the sangeet and MGM was perfect as it provided such a large space, amazing food choices and the ability to personalize and put our stamp on the event. 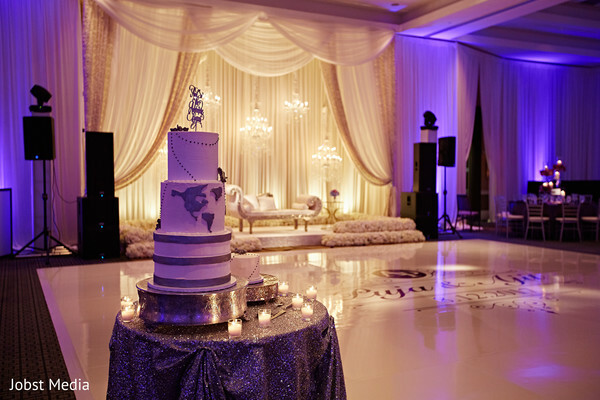 We had picked our decorator-Yanni Design Studios, from our engagement party and knew that he was do an amazing job translating our visions into actual decor. He and his team were amazing to work with. I used a lot of Instagram inspiration to translate my visions for each event. 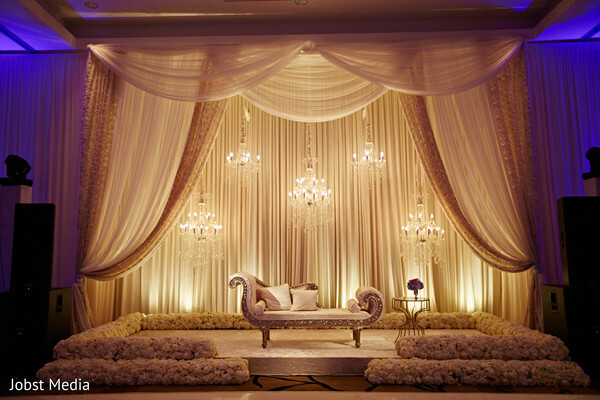 Our wedding planners-Utsav also did an excellent job executing on the weekend of the wedding to make sure that everything went perfect. 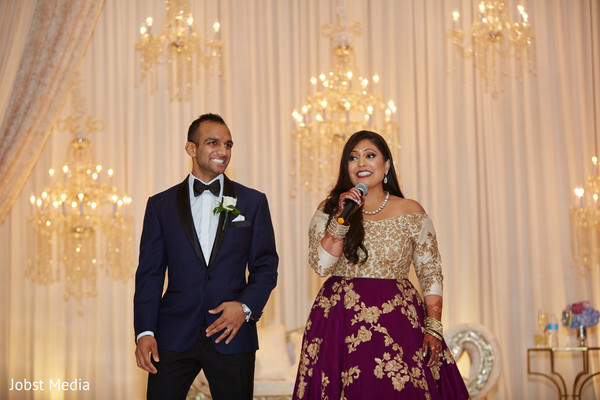 Our MC/DJ and dholi were also from new york/jersey and texas respectively and they did an amazing job. They brought some freshness to the dancing and the LED dholi wasn't a bad touch. On one of our vacations we saw an electric violinist and loved the sound, we thought it would be cool to have someone like that perform and play at our reception. We worked with our DJ to find a local Chicago performer Kat V, electric violinist, and had her come out for cocktail hour and the reception. She was able to play with indian and american music which was perfect for our party! Since I was in residency, it was difficult for me to find time to go to India to go shopping so I did a lot of browsing online via Instagram. I contacted designers through whatsapp and futher personalized my outfits. 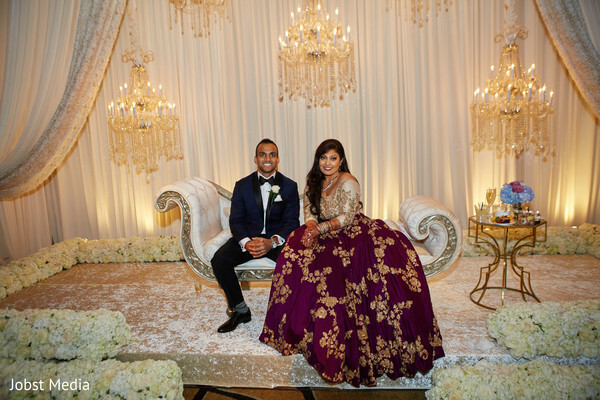 I chose Sabyesachi for our wedding outfits as they were timeless and the deep red/burgundy color that they had was the color that I had always envisioned for my wedding outfit. I wanted everything else to be cream/white and gold on the wedding day and my outfit to really pop in contrast. Working with my future husband to plan this dream wedding. It was interesting to hear his opinions and learn how to make compromises. It was our first opportunity to show how well we could work together. The food and decor. They loved the uniqueness of the decor as we used a vendor from outside Detroit. The food was specially picked for our event: Friday nights theme was bazaar themed so we had MGM make food from all different regions we had travelled: mexican, thai, indian, mediterranean stations. For dessert at our reception we tried to incorporate some of our favorite treats-andes mint chocolate chip mouse and snickers peanut butter mouse. Our decor was out of this world. The pictures came out beautiful. Everything looked beautiful and exactly how we had envisioned. Many moments play over in my mind. Sitting at the mandap during the wedding ceremony and looking out at all our friends and family there to celebrate our love was amazing. Taking romantic photos after the ceremony at the Detroit public library and Detroit institute of arts was amazing as well! Those few minutes in the day when I would be completely alone with Ajit were also very nice. Especially before the wedding when we did the first look pictures. It was a good reminder of our love and how special the day was. It was hard during the wedding weekend to get those few moments alone since there were so much going on! Saturday reception: travel themed, used boarding passes for seating arrangements, had a louis vuitton travel suitcase for the card box made from etsy, had mini suitcases filled with personalized M&Ms for our party favors on each seating, each table setting had a story about what city it was named for and had a personalized story about our trip there as well as a photo from that trip, our cake was travel themed with a map of the world and a plane with a cake topper that said let the adventure begin. We loved our same day video edit by 97 films, they also did an amazing job with the long version of the film. Katie was great to work with and really listened to what we wanted. She even changed the background music based on our preferences for the same day edit. Enjoy every moment of planning and try not to stress too much because things will work out in the end! You don't need to go to India to have your outfits made. I did most of my outfit planning from the US and was able to communicate easily with designers online. I also designed my bridesmaid and groomsmen outfits in the US. Also, don't be afraid to do something different! We went with DJs & a decorator from outside michigan and loved our choices. I bought all my bridemaids matching gold and cream outfits with matching gold jewelry which helped tie things together. Groomsmen also had matching gold and cream outfits. 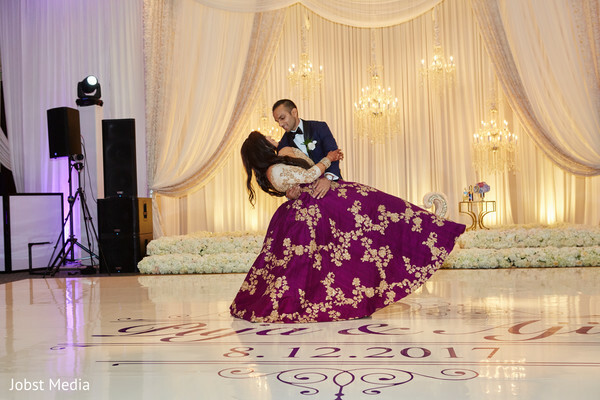 Dhoom Events Indian Wedding DJ and Utsav Planners,Inc. are members of the Platinum Guide. Love what you see? Explore their portfolios.